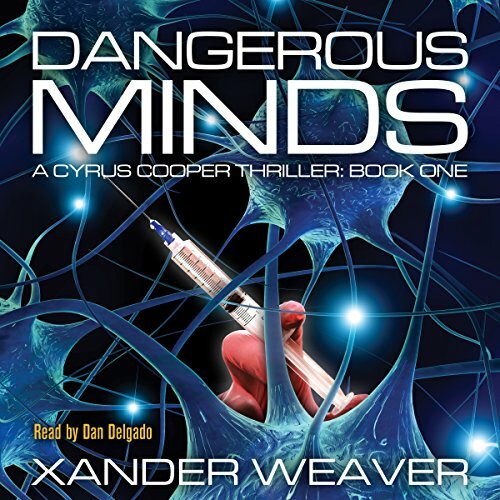 When test subjects participating in secret experiments begin to mysteriously die, Cyrus Cooper, the youngest recruit of the "Coalition" - a secret law enforcement organization - is assigned to prevent the program’s lead researcher from being the next victim. But there’s a catch: The 74-year-old neuroscientist, Gertrude Waterford, has flatly refused any type of protective detail. Cyrus goes undercover, taking a position as a personal assistant in order to enter the life of the brash, elderly scientist. When multiple attempts are made on her life, however, not only must Cyrus protect the headstrong lady, but he must also uncover the perpetrator of the attacks before it’s too late. Cyrus Cooper’s efforts take him from high-rise apartments to secret underground research facilities, with stops at forgotten rendition sites and forsaken mental institutions along the way. And as the threats grow in force and number, Cyrus faces a race against time and a war where all the players on the battlefield are anything but trustworthy. I actually really enjoyed this book. It's the 1st in a series I will continue to read. story was well laid out, interesting plot twists with enough action and story to keep you involved The audible was clear and the narrator really worked hard to bring different characters alive to the listener. The story has a deep, intelligent plot with several major surprises. The narrator performs a wide range of distinct voices. I really enjoyed this story and think it was well done. I was pleasantly surprised by the overall narrative and character building. I recommend this book to anyone looking for a fun thriller that’s a bit different. The narration was quite clear and characters easy to distinguish. Story was fun but a little predictable. However, the narration made the audiobook and the hours flew by listening to him act out each story arc. Overall definitely worth a listen to and hoping to hear more from author/narrator combo in the future.